RUN, DON'T WALK, this home is reduced BELOW market value for a quick sale. WOW, SUCH A DEAL!!! NEW ROOF, newer A/C & Water-heater. Live the resort lifestyle without the cost of club memberships. Spacious home on Corner Lot with Tall Pines & lusch Landscaping! HOA includes fiber-optic system with Telephone, Internet, Premium Cable TV-HBO & so much more!! (see supplement in MLS) Other features of this fabulous home include a covered, screened & tiled patio with roll down shutters, & accordion shutters on every window. Spacious rooms, Eat-in-Kitchen, formal dining room, living room & a family room that opens to the kitchen. Excellent Location close to A+ schools, shopping & restaurants just outside the front gate. Close to Okeeheelee park, Wellington Green Mall, EZ access to TPK & I- River Bridge is an ALL AGES, Pet Friendly Resort-Like community which is centrally located & close to the great schools, Wellington Green Mall, public golf courses, movie theaters, great restaurants. 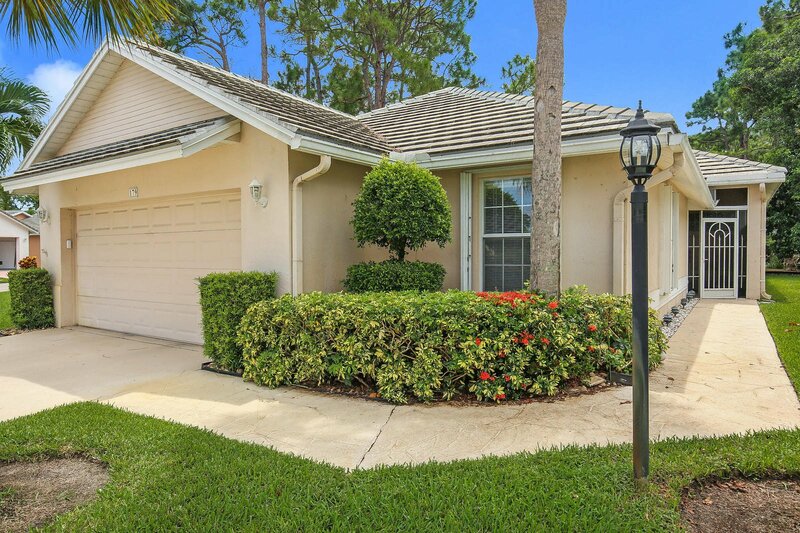 Only 6 miles to the beaches, convenient access to I95, the Florida Turnpike & the Palm Beach International Airport. 1 BLOCK AWAY FROM OKEEHEELEE PARK WHERE YOU'LL FIND CHAMPIONSHIP WATERSKI COURSES, HORSEBACK RIDING TRAILS, BMX TRACKS, BALL FIELDS, PICNIC GROUNDS, PUBLIC GOLF, NATURE CENTER, DOGGIE PARK, BIKING/Walking Trails & so much more... River Bridge's amazing amenities include: -Manned Gated Entrance with 24 hour security and roving patrols -landscaping & lawn maintenance for your front and back yards, -cable television with premium movie channels -Telephone -Internet Other Amenities included in the HOA fee: residents have access to the use of 2 heated swimming pools, 6 lighted tennis courts, lake front hot-tub, clubhouse with planned neighborhood activities, shows & trips, billiards and ping-pong tables, basketball/bocce ball, shuffleboard courts, fitness room, children's pool and playground, 24 hour manned gate with secure entrance and roving patrols, picnic areas, performance center, a social director, on-site manager, lush landscaping, lawn care for your personal property (FRONT AND BACK yards), weekly sprinkler system maintenance, and so much more...There really is something for everyone! !